Magic Me and The L & Q Foundation are delighted to be teaming up with George Mitchell Primary School on a new project Quality Street. Over two years, three generations of residents in Leyton will come together to create new connections through art projects, celebrations and street festivals. Quality Street is building mutually beneficial, cross-generational connections, increasing happiness and wellbeing, across three generations living in the area. Each year, a new annual street festival will be co-designed with the school and other partners, to celebrate and showcase all ages in the community. We, as a school, feel very privileged to have been chosen to be part of this intergenerational project over the next two years. It is so important for our children to value older people in our community and to learn from them but also have a unique opportunity to work closely with them together for a goal they will all be part of and enjoy. Some activities have started already. 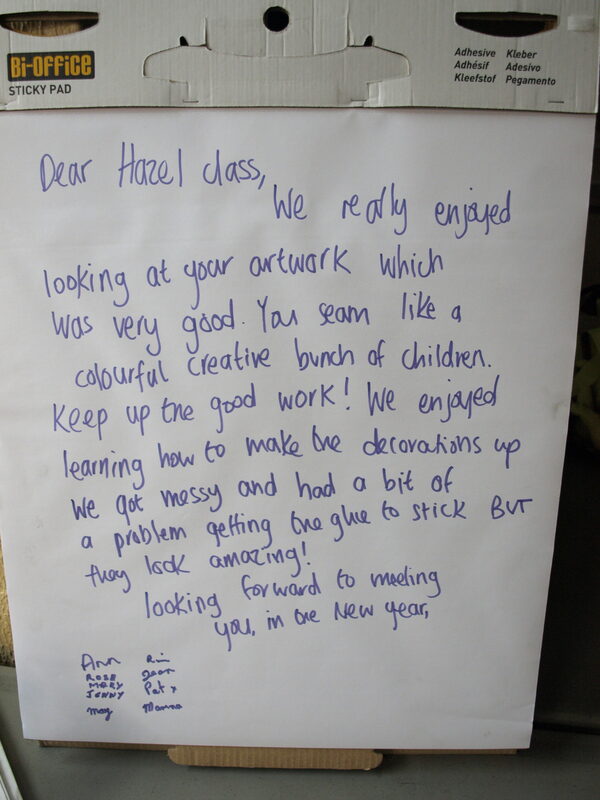 A group of Year 3 & 4 students recently took part in a making session with artist and puppeteer Polly Beestone, encouraging them to work collaboratively, ahead of working with a group of older people to create Street Festival puppets in the New Year. The students designed artwork for a group of older adults to make up in to Christmas decorations. The finished decorations will be displayed at both the Seddon Centre and George Mitchell School in the run up to Christmas. We are very excited about this new project, and can’t wait to see what happens when three generations come together to celebrate their community through a range of arts projects and a new street festival. We think it is going to be really inspirational for both the all the people and artists who get involved. We are also excited to be working in Waltham Forest as it becomes London Borough of Culture for the first time. If you are local to Leyton and would like to get involved in Quality Street please get in touch qualitystreet@magicme.co.uk. We are keen to get the widest age range of adult participants involved: whether you are a parent, L&Q resident, older person living in the area, artist or keen volunteer we’d love to hear from you. 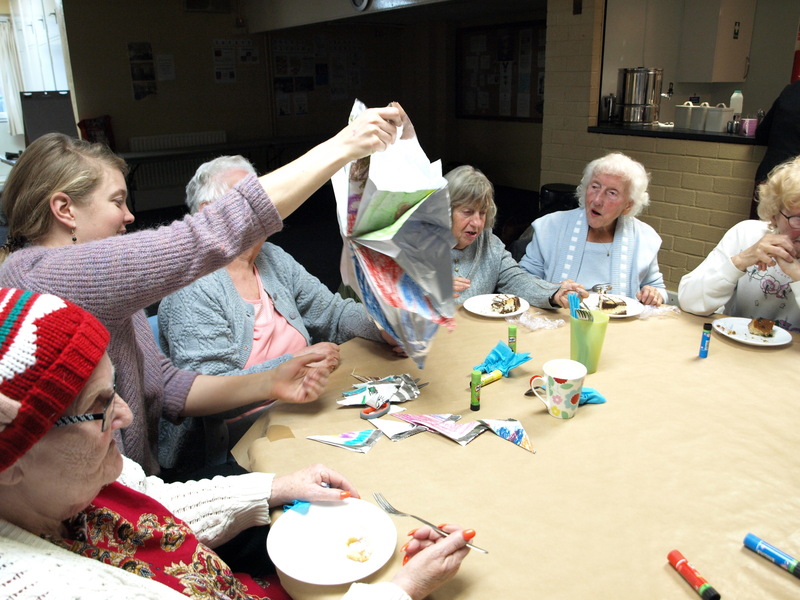 Also if you know of an older person who would benefit from getting involved in creative activities please let us know. We are always interested in hearing from the community, local artists, organisations and businesses about any ideas for projects or activities you would like to see taking place in the local area. Pupils and parents at George Mitchell School can also find out about what’s been happening in Quality Street on the school notice board. The L&Q Foundation develops and funds social interventions that improve people’s chances in life and creates opportunities in our communities. Alongside this they invest in activities that increase opportunity and aspiration for both individuals and the wider communities they create and manage. They continue to work with internal and external stakeholders to ensure the best outcome for their residents and the greatest social return on their investment.